How Do You Learn to Recognize Emotional Manipulation by Family Members? Emotional manipulation is one way others try to change your behavior, thoughts, and feelings through misleading practices. 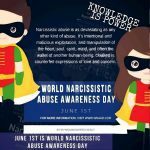 These practices can be harmful to everyone involved – and in the case of a toxic narcissist, it can literally take you to a place where you sort of lose yourself – and this is even more of a concern when the narc is part of your everyday reality. Family members may try to use emotional manipulation to control you – and whether or not they can be identified as people with narcissistic personality disorder (NPD), they can make life absolutely miserable. No one likes to be controlled! For your own benefit, learn these signs that a family member is trying to manipulate you – the first step to any solution is the discovery of the problem, followed closely by understanding it – and eventually, you can overcome it. Denial of the truth. One of the most common ways a family member can use emotional manipulation is to deny the truth. This is a key sign. The person who is manipulating you will often make a promise or a statement but deny it later. They will pretend that the truth doesn’t exist, and conveniently blame your bad memory for it. It’s difficult to prove the truth without a recording, email, or other physical evidence. In some cases, the manipulator will try to fight the evidence by saying it’s fabricated. An emotional manipulator can make you feel as if it’s your fault you’re not remembering the previous conversation the same way. They can make you feel guilty and ashamed, so you don’t pursue the subject anymore. Using guilt. Emotional manipulators frequently use guilt to control their family. Family members can use passive-aggressive tactics to manipulate you. They can also find your weak spots, so it’s easier to make you feel guilty. Manipulators will pretend to be victims, so you’ll feel sorry for them. If you refuse to go along with the charade, they will accuse you of being insensitive and mean. They can make you feel guilty in order to get sympathy. This is another important sign to recognize. Using others. 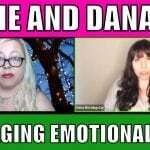 Emotional manipulators will use your friends and other family members to hurt you. They can use others as messengers or mediators to control you. Emotional manipulators will use these people to send you hurtful messages or to blame you for their issues. By involving another person, they’re able to blame someone else for the message being misinterpreted. Anger and threats. Family members can use their anger and threats to manipulate you. An emotional manipulator uses anger to frighten and coerce people. Threats and angry outbursts are used to make the other person feel uncomfortable and upset. Emotional manipulators often use anger to interrupt or stop a conversation they don’t like. For example, a family member who refuses to discuss his affairs may use an angry outburst and threats to end the conversation or storm out of the room. The anger can escalate to physical violence, so it’s important to pay close attention to the situation and seek help if necessary. Belittling tactics. Family members may try to belittle you, so they can manipulate you more easily. Emotional manipulators will criticize you and point out your flaws. The main goal of this tactic is to make you feel inferior, so you’re easier to control. Focusing on vulnerable targets. Manipulators seek out sensitive people because it’s easier to influence them. They deliberately look for people who are vulnerable and insecure. They can spot your insecurities and use them. In the beginning, emotional manipulators may even seem kind and concerned as they gather information about you. However, this quickly changes to control. Digging deep to hurt you. Sensitive people are more likely to become victims of family members who want to control them. They’re less likely to stand up for themselves or speak out against the manipulators. 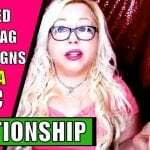 It’s important to spot these signs in a relationship. You can recognize emotional manipulation and refuse to let the family member take control of you or your actions. These relationships are unhealthy and toxic. Seek professional help if you need to, but it’s important to make positive changes to the relationship or let the relationship go. Your turn: have you been emotionally manipulated by a toxic family member? Share your thoughts and experiences in the comments section below. Let’s discuss this. 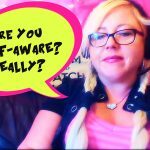 How Has Narcissistic Abuse Affected Your Self-Awareness?